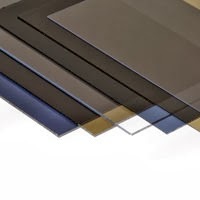 SolarFlat solid sheet form delivers high clarity (transparency of glass) combined with strength and impact resistance. 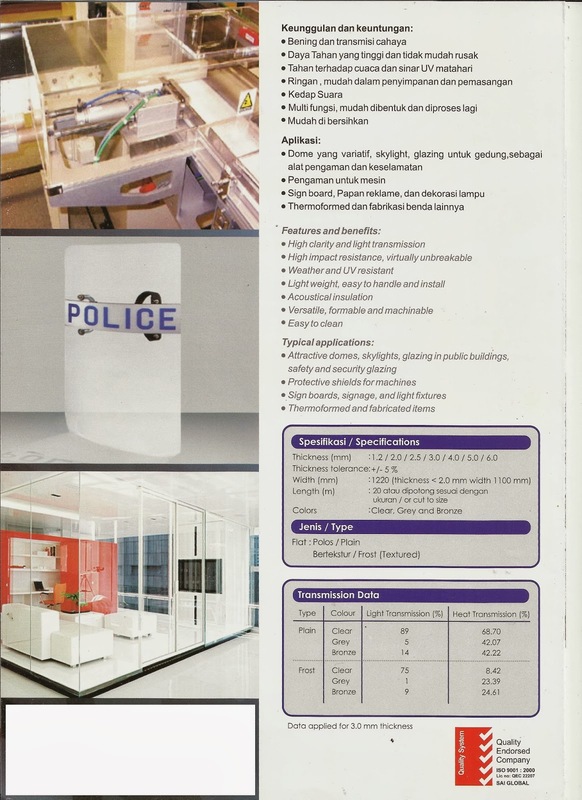 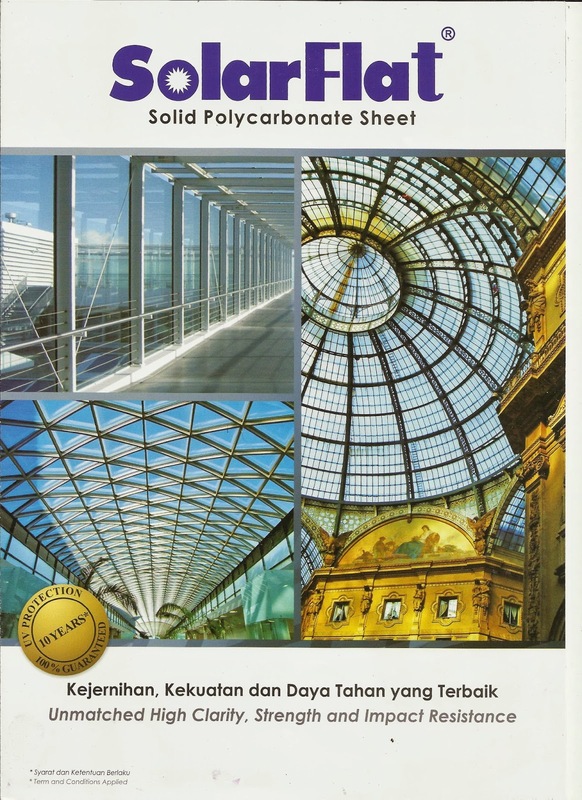 This Solid Sheet can be cold bended, fabricated or formed, also ideal as safety glazing and machine guards. 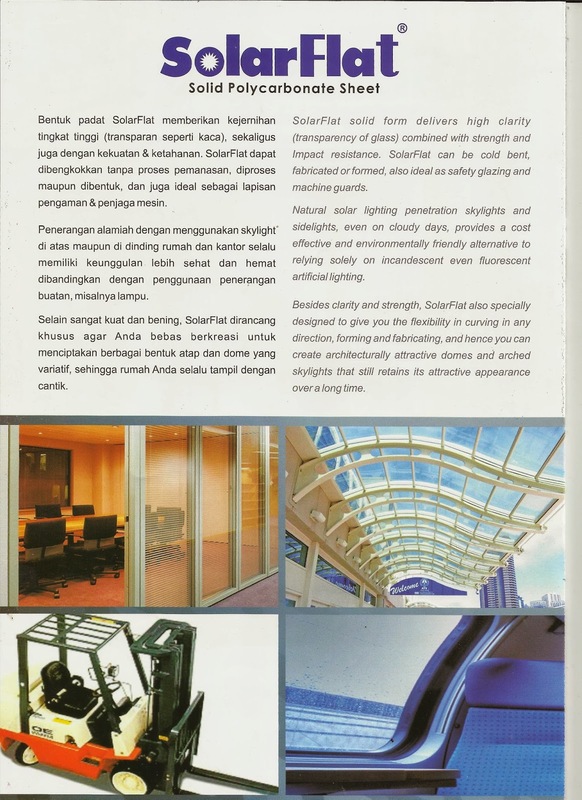 It’s very suitable for skylights application that provide a cost effective and environmentally friendly solution in saving energy society now a days. 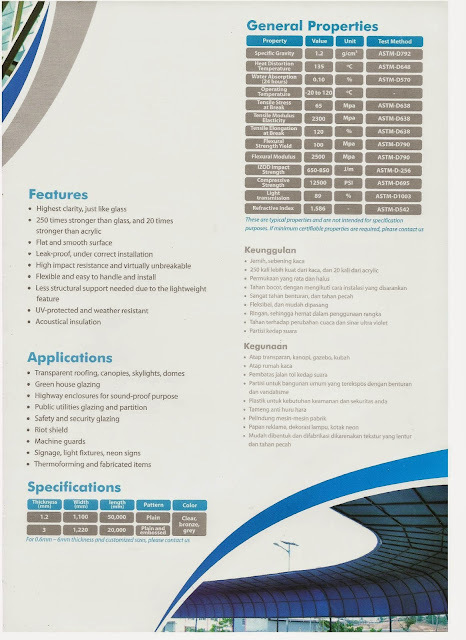 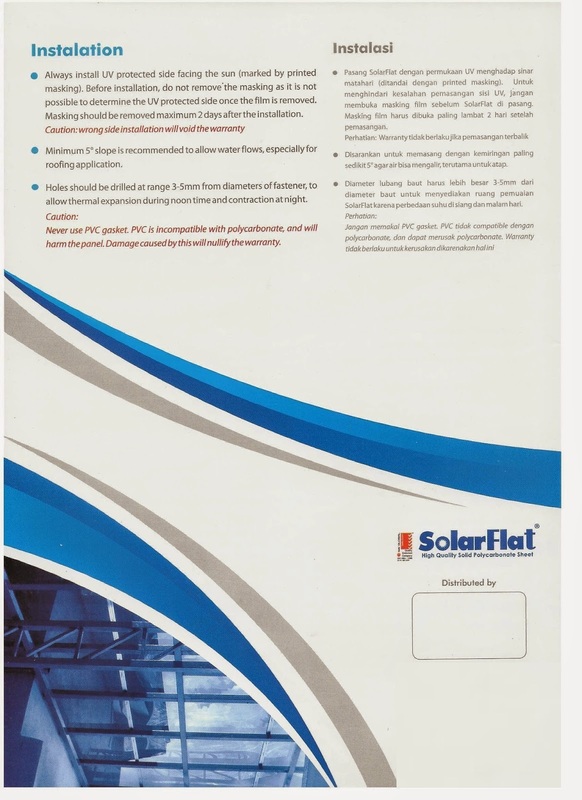 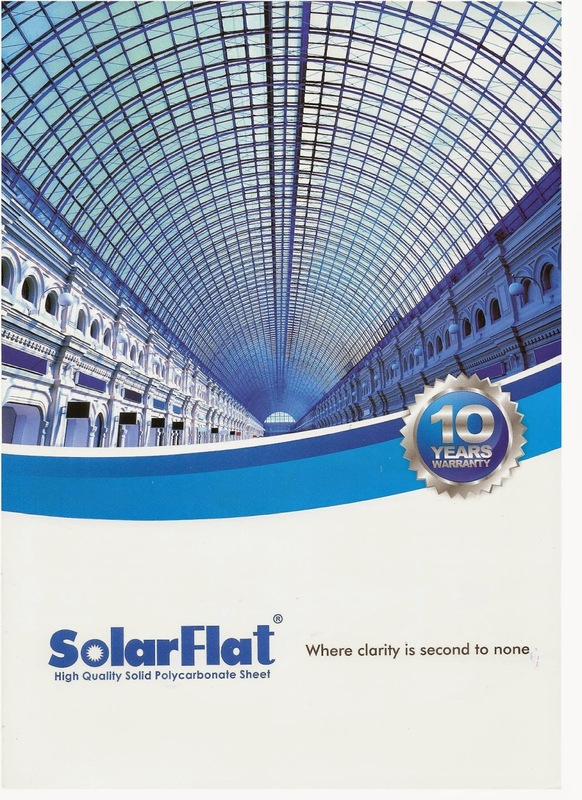 Besides clarity and strength, SolarFlat solid sheet also specially designed to give you the flexibility in curving in any direction, forming and fabricating, and hence you can create architecturally attractive domes and arched skylights that still retains its attractive appearance over a long time. 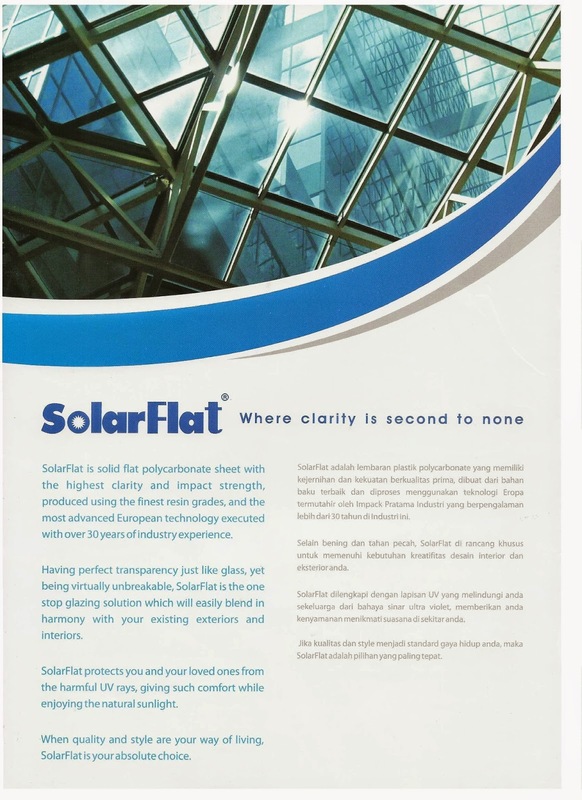 Every SolarFlat solid sheet comes with UV protection and warranty againts brokage and fungus to give you a healthier environment. 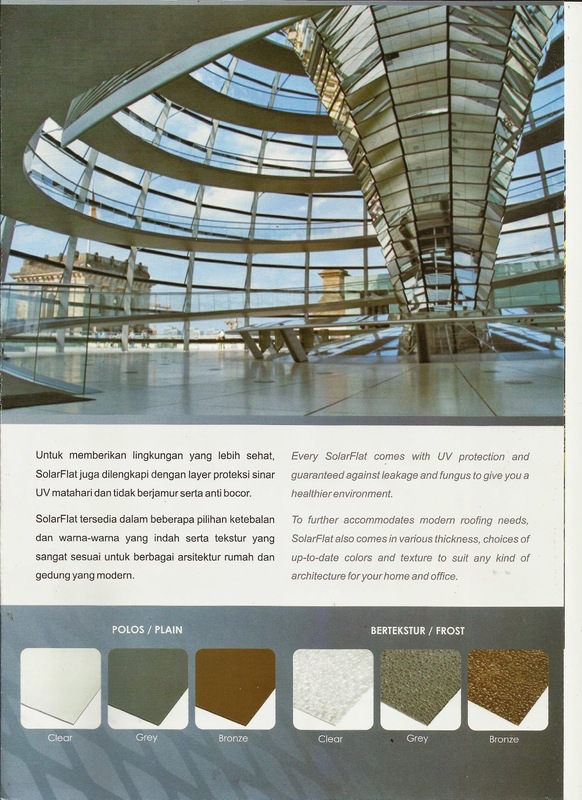 To further accomodates modern roofing needs, SolarFlat solid sheet also comes in various choices of thickness, up-to-date colors and texture to suit any kind of your architecture home and office.